If your basement floods regularly, you have a heavy musty odor or you’re noticing mold growth, it may be due to poor drainage around your home. While an exterior French drain is a good option for most houses, it may not be the right one for your home. 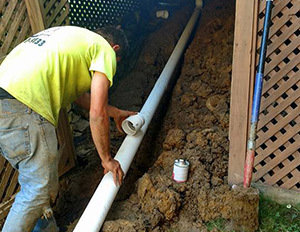 Installing an exterior French drain will require excavating the perimeter of your foundation. What does this mean for you? If you have any sort of deck, porch or landscaping in this area, it will likely need to be removed, partially disassembled or dug up before installation can occur. Do not fear! The Pittsburgh Drain Guys are here! By installing an interior French drain, any structures, garden bed or trees around the perimeter of your home can stay put! Interior French drains are installed right on your basement floor and will pose minimal disruption to your home’s interior. Where are interior French drains Dug? Interior French drains are installed beneath your basement floor. French drains rely on gravity to work. If you don’t live on a slope or near a hillside, you may need a sump pump installed in your basement to help pump water from the French drain to a storm sewer or dry well. Who installs a French drain? The Pittsburgh Drain Guys, of course! 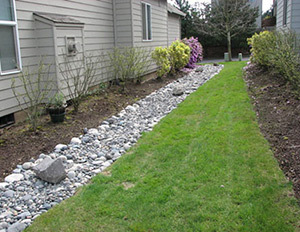 We are experts in residential and commercial French drain installation and we can solve your runoff issues. Because of Pittsburgh’s hilly terrain, homeowners who live in low-lying areas have most likely experienced a wet basement at least once. It may not have been completely flooded, but having water penetrate your home’s foundation can sometimes be a nightmare, especially if your basement is used for storage. The cleanup is usually exhaustive and using a sump pump can be dangerous because water is a conductor of electricity. In other words, if you don’t know what you’re doing, the risk of being electrocuted is increased. In this scenario, you could hire an outside water restoration service to take care of the mess for you. However, it can be expensive because most prices depend on the square footage of your basement. And then there’s per hour labor rates on top of that. Or, to prevent your basement from flooding altogether, you could have had an interior French drain installed. Interior French drains, which are usually the best waterproofing option available, are added from the inside of your basement, instead of digging from the exterior. French drains aren’t French after all. 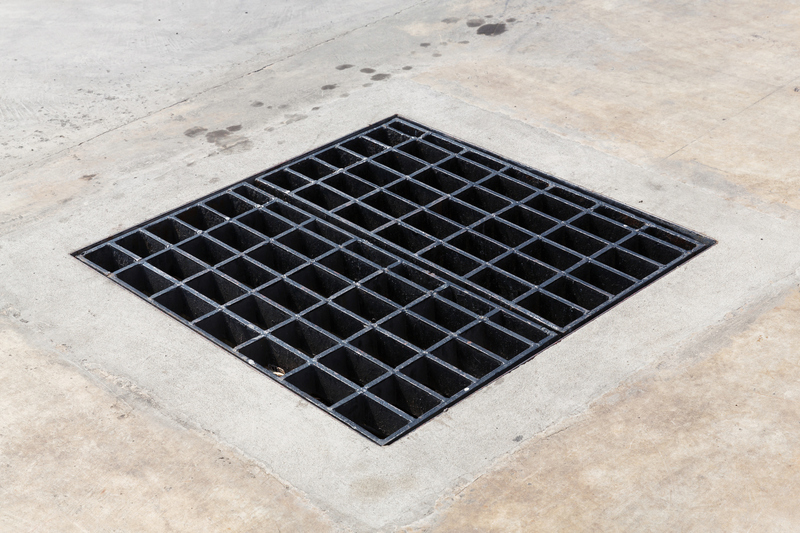 It’s an American invention named after Concord, Massachusetts inventor Henry Flagg French who developed the drainage solution in 1859.